Objective: You will analyze non-fiction texts in order to describe how the overall structure and meaning are determined by its aesthetic impact. 1. Read the following article on Body Modification. 2. Respond to the article by following the link below. 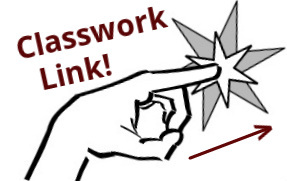 Click Here for Today's Classwork. 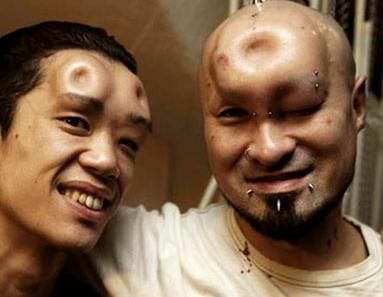 Modified People are a group of individuals who deliberately undergo extreme body modification for non-medical reasons. 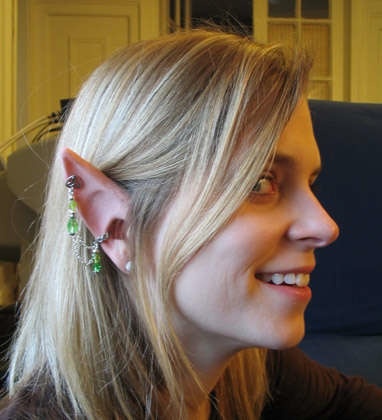 Modifications can range from socially acceptable alterations like pierced ears, to the more extreme like extraocular implants (eyeball jewelry). For the purposes of this article, the primary focus will be put on those individuals who partake in the more extreme forms of body modification. The reasons why this culture of individuals undergo these alterations vary from private enhancement, rite of passage, aesthetic reasons, denoting affiliation, trust & loyalty, shock value & self-expression. The values and beliefs of the individuals in this culture vary as much as they do in appearance. However, upon extensive research, individuals in this group seem to value one thing in common: being unique and creative. 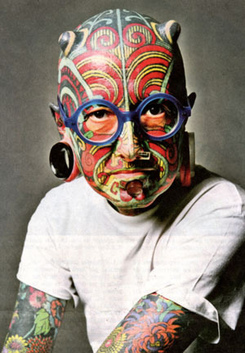 Upon being asked what Rick Murray, AKA “Zombie Boy” would think about people getting similar tattoos, he states: “you can’t rip off someone else’s personality. And I don’t want kids to go out there and ruin their lives because they think it’s cool – it’s got to be in you. You’ve got to know what you want.” Zombie Boy has spent countless hours and money on achieving this “walking dead” appearance. He also stated in his interview that it would be “cool” to have a group of zombie followers, but encourages people to be themselves and come up with their own creative ideas. These individuals are so extremely different than that of the average population, so one might think that they would want to be secluded and ostracize themselves from the general public; however, this is not the case. Many of these individuals have participated in several interviews and photo/video shoots in order to share their unique stories, some even travelled internationally to partake in these. 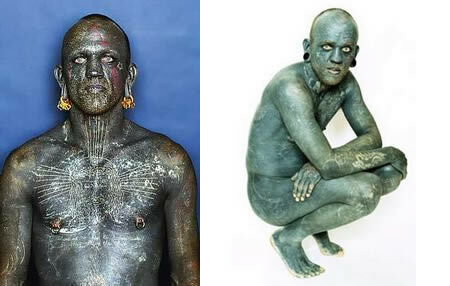 An interview on YouTube with Lucky Diamond Rich reveals this: “I’ve always been a people person. 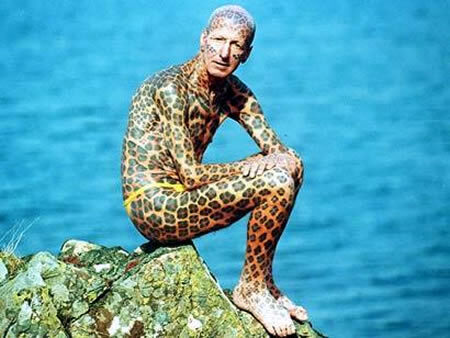 People think it’s the opposite that it actually restricts you, but it’s not.” Lucky Diamond Rich is the most tattooed man in the world, covered with black ink and white designs over the top. He also has silver capped teeth, stretched earlobes and several extreme piercings. If a person would close their eyes and listen to Lucky Diamond Rich during his interview, he would seem like a very pleasant, intelligent and kind individual. However, because of his appearance, he may be perceived differently. While certain individuals in this culture, like The Leopard Man, choose to live a secluded life, many of them struggle to find a significant other to share their lives with. This could be due to a number of reasons from the way the person is perceived to how they actually live out their lives. However, there are two modified people that happened to find each other, build a relationship, get married, and conceive a child. This is the relationship between Paul Lawrence AKA “The Enigma” and Katzen AKA “The Tiger Lady”. The Enigma has blue puzzle pieces tattooed all over his body and has made a name for himself by performing stunts such as sword swallowing, pushing a moving power drill up his nose and swallowing various liquids, pumping them out of his stomach and them swallowing them again. The Tiger Lady is a modified female performance and tattoo artist. Her full body tattoo theme is that of a tiger. 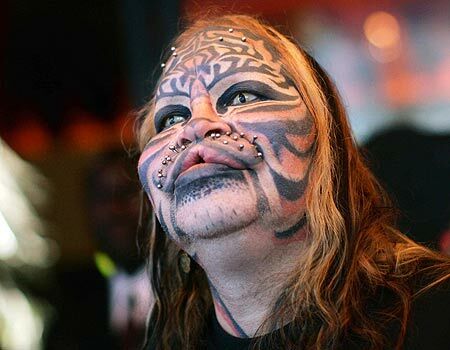 She has received extensive tattooing on all parts of her body and wears tiger whiskers attached via piercings on her face. 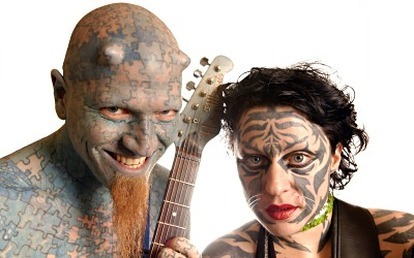 The Tiger Lady actually began Enigma’s tattoos and that was also the way they met. 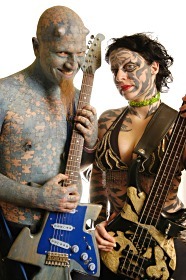 The Enigma and Tiger Lady are now currently divorced. 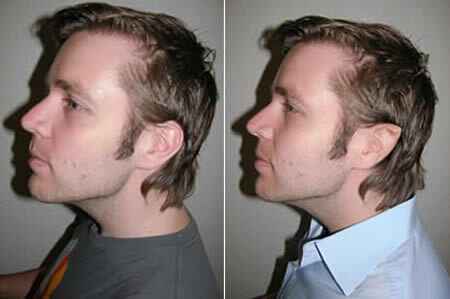 Relationships are difficult for the average individual and pose even more difficulty for modified people because of their unique appearances and lifestyle. In the end, with the exception of certain individuals like The Leopard Man, people of this culture also want to find love and share their life with another person without biases or prejudice. Modified people tend to have excellent communication skills and are able to articulate quite clearly their thoughts, beliefs, values, etc. This is evidenced by multiple interviews conducted on various people of this culture. Their unique appearances strike people’s attention and raise many questions. Therefore, individuals in this culture become very seasoned when speaking with other people and are usually open to answer questions and partake in discussion. People in this culture are also very educated about their body modifications and do research before getting their surgeries completed. At all levels of education, the prevalence of tattoos was significantly higher among those of lower education. Of those with multiple tattoos, 76% had been in jail for 3 days or more. Recreational drug use was significantly more common among the tattooed. Body piercing varies little by educational status. However, as with tattooing, body piercing occurs more among those who partake in risky activities such as heavy drinking, drug taking, and actions that lead to incarceration. “We found no difference in tattoo prevalence between ethnic groups with presumably all gradation of skin color, except that tattoos were twice as common among those with Hispanic ancestry than all other ethnic groups combined. Presumably permanently decorating the skin is a fashion or a cultural practice rather than appearance driven. Around the world, there are many forms of body modifications that exemplify beauty, art and identity to one’s culture. These body modifications may be accepting in one culture but may be considered taboo in another. 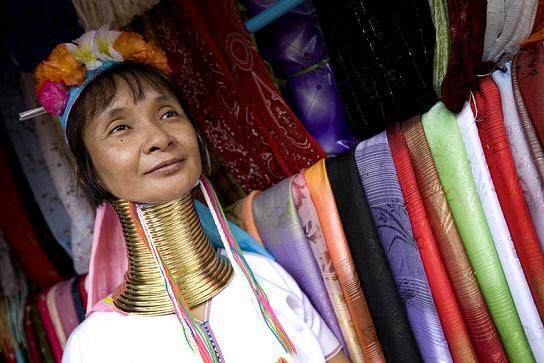 For example, some women from Thailand cultures place large brass coils around their neck which promotes extension. Most outsiders would deem this to be controversial and painful for the body. However, it is a sign of beauty in Thailand and it defines the culture they live in. In the United States, many forms of body modification can be illustrated day to day. 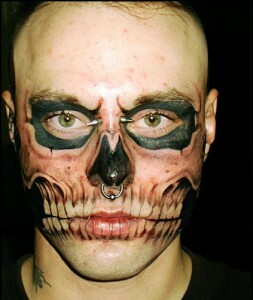 Some forms of body modifications are more acceptable than others such as tattoos, body piercing, and cosmetic surgery. 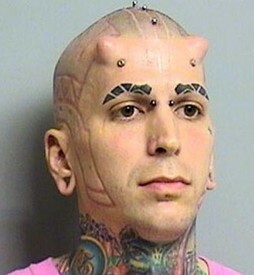 However, there has been an increase in extreme body modifications that can be seen in the United States. Some types of extreme body modifications include: sub and transdermal implants, bifurcation of the tongue, full body tattoos, and tattooing of the sclera of the eyes. 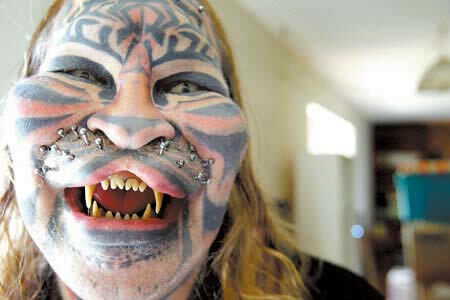 People who get extreme body modifications have difficulty finding jobs and have to refer to jobs that correlate around their body modifications. Also, people with extreme body modifications usually have spouses, friends, and other peers whom believe in the same culture and practices. Most Americans would consider them having mental illness that would cause them to mutilate their body. In addition, the medical community believes it is dangerous for people to get extreme body modifications from a medically unlicensed individual. For instance, subdermal implants allow individuals to place body jewelry under the skin to give a raised “3D” effect. 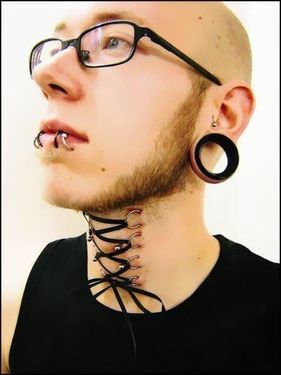 However, people who believe in extreme body modifications believe it allows an individual to separate themselves from the norm and to express what they believe is, “art.” They also believe that it is important for an individual psyche to express themselves by means which make them feel or look beautiful (National Geographic). To break a taboo is to accept what is considered unusual or strange. In order to learn to accept differences, it is helpful to understand them. What makes this culture unique has been discussed along with the values, beliefs, and views. Here, some of the practices which are considered strange and unusual by some, are explained along with how they are performed. One type of practice is known as “scarification.” This is simply pealing back the layers of skin, so when it heals, it will reveal a certain desired design. Most scarification is done through tattooing and takes about two years to complete. After which the skin heals and vibrant colors are seen in the scarred skin/design. Another modification is branding: where the skin is removed and a scar is formed. In this case, the skin is burned away in a design much like what would be done to a cow. This is a more painful type of body modification. Implants are becoming more popular within this culture and they usually consist of beads or formed silicon. The objects are surgically implanted into the desired location underneath the dermal layer of skin. Usually, people get them to represent and appear as horns. Additionally, tongue splitting is a technique in which the tongue becomes separated into two halves (much like a snake’s). This should be performed by a surgeon, but in some cases it is performed in a non-sterile environment. There are many ways in which tongue splitting can be achieved. Scalpelled splits require the use of a scalpel to cut the tongue which is then allowed to heal. Also, a cautery tool may be used to perform the cut itself then used to control the bleeding (Taboo and Body Modification, 2006). There is a great amount of knowledge in medical science pertaining to infection and wound care. There are many research articles that focus on complications which may arise from the common practice of skin piercing. While traditional piercing involves the earlobes, modified people adorn nearly any area of the body, such as the face, chest, navel, genitalia, tongue, and the extremities. However, practices are not limited to body piercing; they also usually include transdermal implants, tongue bifurcation, scarification, and tattooing. The most prevalent complication occurs from the presence of the foreign body inserted into the skin. Infection is a likely problem. Most infections occur from either improper technique or poor hygiene. If left untreated, sepsis or toxic shock could develop. Other ill effects include cyst formation and the painful occurrence of abscesses. 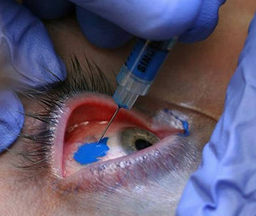 Manifestations of an infected piercing include: redness, swelling, drainage, crusting, inflammation, edema, and bleeding.